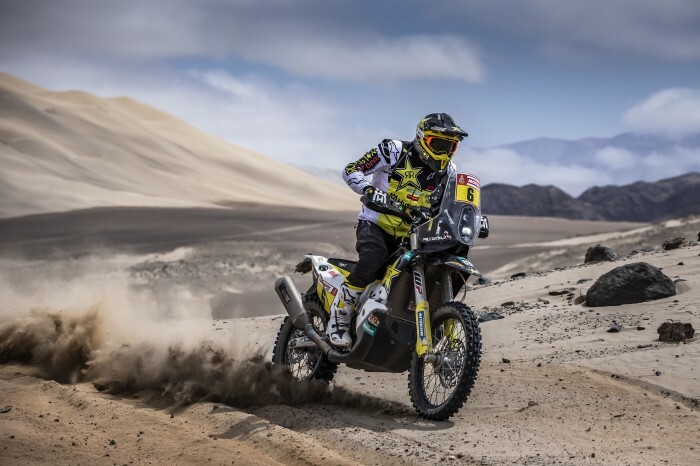 Rockstar Husqvarna’s Pablo Quintanilla opened the seventh stage of Dakar 2019 but struggled with navigation and went from overall leader to fifth over the course of the day. Quintanilla says he struggled to spot some of the way points as he was first on the sand but says that starting in the second wave for stage eight will help him reel in leader Ricky Brabec. “It was a very complicated stage and there were a few moments where we struggled to spot some waypoints. For me it seemed like a never-ending stage. I knew from the start that it would be hard for me to get a good stage result today, considering I was the first rider to start in the morning,” said Quintanilla.